Flowmetrics Inc. is a leading manufacturer of flow meters and associated flow computers. Specifically, we provide in-line and insertion turbine meters, variable area (rotameter) and positive displacement meters, MAG/RF pickups, ratemeters, totalizers, batch controllers, flow computers, field indicators, and signal conditioners. Our turbine flow meters are available in sizes from 1/2″ to 12″ and are capable of measuring liquid flow rates from .001 to 15,000 GPM and gas flow rates from .005 to 15,000 ACFM. For more than 35 years, Flowmetrics has been recognized for superior flow measuring products/services and specialized fluid flow systems. Flowmetrics has on-site testing and calibration laboratories to service any type or brand of flow meter. 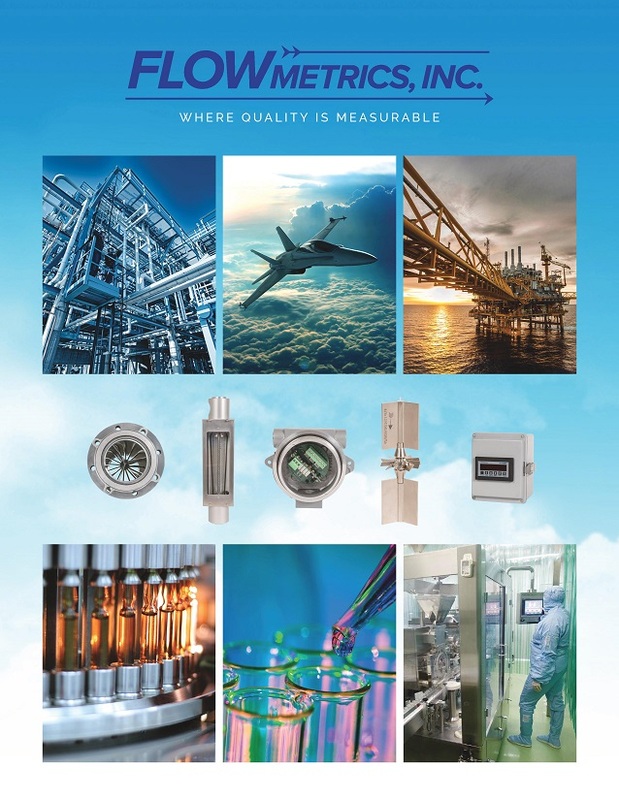 Flowmetrics’ products are used throughout the Hydrocarbon Processing, Chemical/Petrochemical, Aerospace, Pharmaceutical/Food, Power/Energy, and many other industries in a variety of applications. Flowmetrics has earned an outstanding reputation with over 12,000 successful installations in the US and around the world.